All heads in the room turned to look as the legendary former World Champion Garry Kasparov made his way through the aisles. He glanced at a few boards, silently making his judgments on several positions. William Graif, who placed second in the highest section of the tournament, saw Kasparov nod to himself in approval of one of his moves. Graif half jokes that it was the ‘greatest moment of his life.’ This was only one of the many exciting memories players took away from the 2018 Greater New York Scholastic Chess Championships. 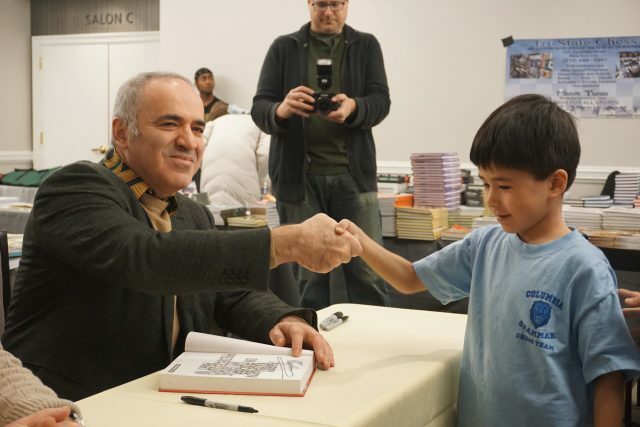 Sponsored by the Kasparov Chess Foundation, the tournament has welcomed Kasparov for signings, and Kasparov even tweeted a couple photos from the event.